This is the signature product of the entire Culture of Appreciation project with the accompanying Facilitation Guide! 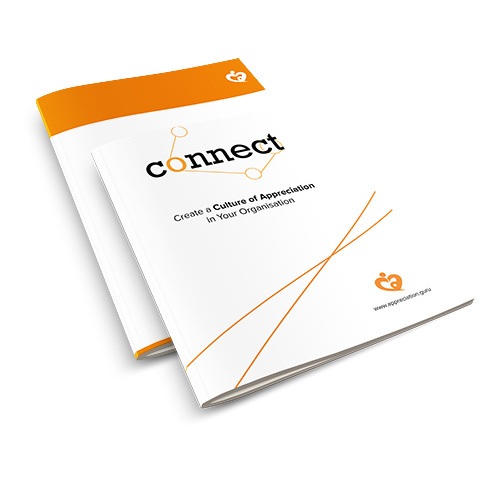 The 40-page Connect Book includes 52 activities that will get you started on your journey of creating a Culture of Appreciation in your organisation. It gives you a deeper look into Culture of Appreciation, while providing activities you can implement immediately. 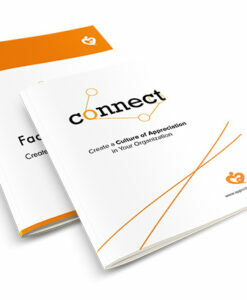 This detailed 40-page Facilitation Guide supports you to apply 6 activities from the Connect Book to their fullest potential. It is a comprehensive supplement for people in organisations who are ready to actualise the Connect Book. You can choose the Connect Book and Facilitation Guide in US or British English – this is the British English version. The 40-page Connect Book includes 52 activities that will get you started on your journey of creating a Culture of Appreciation in your organisation; it is the signature product of the entire Culture of Appreciation project. The 40-page Facilitation Guide supports you to apply 6 activities from the Connect Book to their fullest potential; it is a comprehensive supplement for people in organisations who are ready to actualise the Connect Book.